Every fitness freak wants to hit the ground hard, early in the morning and they always try to monitor their fitness. 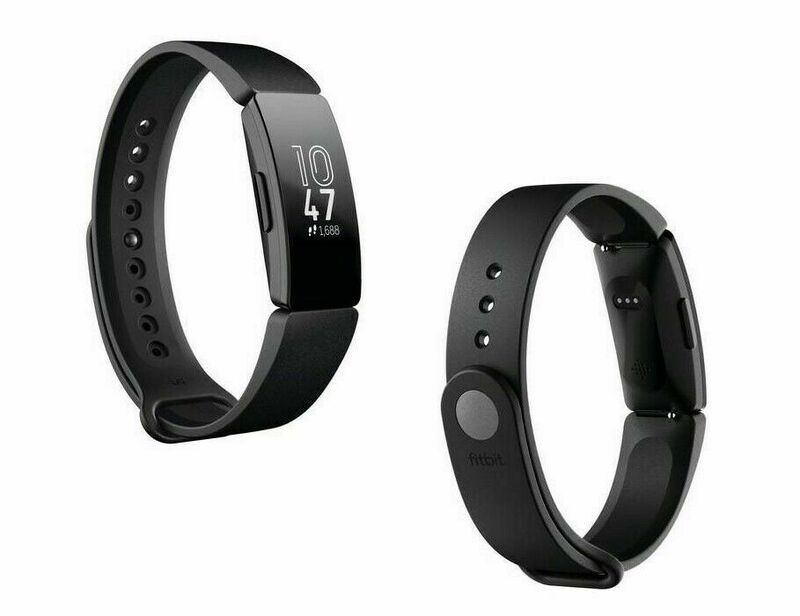 Fitbit Inspire is one of the devices which help fitness freaks to monitor their fitness. The market offers various devices with their pros and cons. A Device which provides close monitoring of your activities like exercise, calories intake, sleep pattern, weight BMI etc including real-time information about your day and night activities will help you efficiently to improve your health. The Fitbit Inspire is the new Fitbit series after they have released Alta series and Flex series. 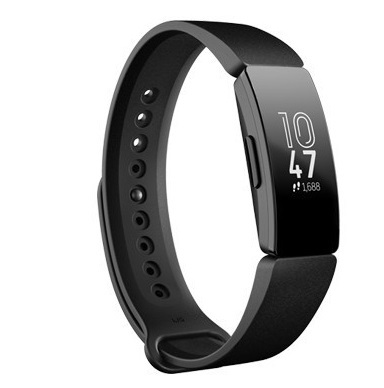 With a wide band and rectangular display, the device looks similar to the Honor Band 4. But, it is more expensive as compared to Honor and lacks sensors like heart rate sensor, color screen, and GPS too. But, is it something which makes it stay at this cost? Is it still better than Honor Band 4? Let’s check it out in the Fitbit Inspire review below. The new Fitbit Inspire looks somewhat like Fitbit Alta. The band gets wider with a rectangular screen and so it is easy to use. It just like any other fitness band when it comes to design. There is a variety of bands to make the gripping easy on your wrist- like official leather, steel mesh, and patterned bands. Just like any normal watch, the lever is placed under the strap half. Inspire Fitbit is available in two color options like black and red. Also, you can get both in both small and large straps. The clasp is really simple looking in this Fitbit Inspire. The screen is made up of plastic rather than glass which makes it more outdoor friendly. Unlike the Honor Band 4, a hardened glass might be the cherry on a cake. The Fitbit Inspire has used both buttons and touchscreen in it. You can find a button on the side which easily helps to rollback to previous menu and for on/off switch. You can swipe up and down once the screen gets started. Tap to select things and swipe to switch between screens. The device is far more responsive to touch as compare to Alta. The device is really simple and easy to use. Most of the devices add bulky features which tend to confuse people- Fitbit Inspire isn’t one of them. Coming to the display, the Fitbit Inspire packs a monochrome OLED display. The pixel resolution is low and that’s why display quality is not as expected. Just any other lower-end Fitbit, it only goes by the name- for tracking fitness- nothing else. And, for this, the device doesn’t need many sensors. The device carries a 3-axis accelerometer- period. No GPS, no Wi-Fi and for heart ratings too. Scrolling down the screen will give you your step count, calories burnt, minutes spent active, extrapolated distance traveled and the “Reminders to Move” view. It is not giving a big chunk of features- this might be its limitation. Because, many phones now come with an in-built tracker, so why will someone buy it? But, something we like is- the device catches the difference between run and walks pretty fast. Nice work by the company in sustaining that. No GPS or Connected GPS is another problem for this device. Overall, not only you get limited fitness monitoring but you lack some common features too. Inspite of it’s limitations it has features like notification, call alert, whatsapp notification etc. It is fun to use this device. You can take it with you while you are going for hiking- but it will track your steps only. You can track your sleep using this device-like how many hours you slept every day. The display can show you notifications of SMS, call alerts and WhatsApp notifs too. But, you can’t reply through it. Still, with this display, who would text back from it? It’s better to take your phone out and text back. 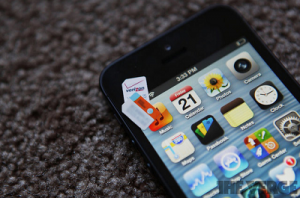 The device has a vibration feature which can act as a silent alarm and reminder. There is also a stopwatch and a timer. You might feel this device is not powerful enough. But, as per Fitbit, you can use this device for straight five days without refueling. With monochrome display and fewer features, it is reasonable- not too great. In terms of battery life there are various options available and you can buy them using Flipkart Sale Offer at reasonable prices. On general usage- like wearing it all day long, WhatsApp texts on, the device can give you four days- real-time check. It is very poor as it wasn’t monitoring the tracking data like heart and accelerometer. Coming to the Honor side, its Band 4 lasted around two weeks without charging. Simply hook the band with the charging dock. The device will get charged in an hour or more. Though it is not a big watch like Wear OS watches, we feel that’s why it is performing below par. 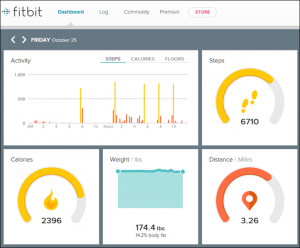 FitBit Inspire has improved the looks but that does not cover up its lack of features. It lacks common features one would expect from a basic fitness tracking device. One could spend some more time surfing the net and have more better options put forth for the same amount of investment.